Many Chinese restaurants serve Xiaolongbao (小籠包) with this sauce. You can also serve this sauce with boiled or pan-fried dumplings but I personally prefer not to use any sauce except for maybe a little soy sauce with my Xiaolongbao. The reason for this is Xiaolongbao is already full of flavor and soy ginger sauce is so strong you can’t taste the flavor of Xiaolongbao with this sauce. There are other similar sauces like this but you can use in different ways. For example, julienned ginger with thick soy sauce is great with stewed beef soup with a clear broth (清燉牛肉湯). An interesting thing about this sauce in the East, people like to serve and consume this sauce with julienned ginger rather than chopped ginger. In Chinese culture, ginger has been known as “the poor person’s ginseng”. Chinese people believe ginger can soothe the digestive system and reduce nausea. I especially believe the latter as when I was pregnant I had really horrible morning sickness so my doctor actually suggested I eat some ginger biscuits or ginger tea and the result was amazing. Ginger is also anti-inflammatory and the skin of ginger also has other health benefits in Chinese medicine. Another similar sauce is ginger chopped finely and mixed with white wine vinegar. This sauce is usually served with steamed crab or another kind of seafood. The reason ginger is served with steamed crab is that in Chinese food culture crab is an extremely “yin” food and ginger can help balance this out. Also, Chinese people believe ginger and vinegar can kill any bacteria in the crab and get off any excess nasty fishy tastes. If you think vinegar is a little bit too strong for your taste then you can add a little bit of sugar into the sauce to mellow it out. You can serve this soy ginger sauce with anything you like, whether it’s too dip your dumplings or to mix it with rice or noodles. You could even add a little bit too your seafood before you steam it. Serve as a dipping sauce or pour over noodles or rice. 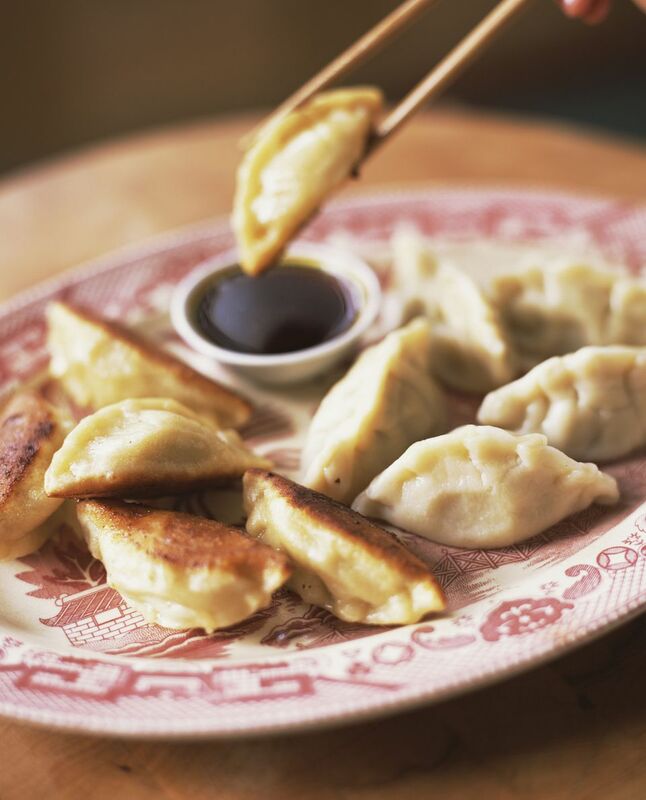 Serve it with Xiaolongbao or dumplings. Serve with steamed crab or prawns.